This short contribution challenges traditional perspectives in federalism studies by addressing the concept of constitutional asymmetry as an alternative approach and by examining the potentials of constitutional asymmetry. In relation to multinationalism in systems with federal arrangements, the contribution demonstrates that the use of constitutional asymmetries in contemporary federal theory provides a more flexible approach to autonomy claims. The relationship between federalism and secession might be regarded as antithetical but is an unavoidable fact in multinational political communities. Integration and disintegration are both possible trends in a federation. 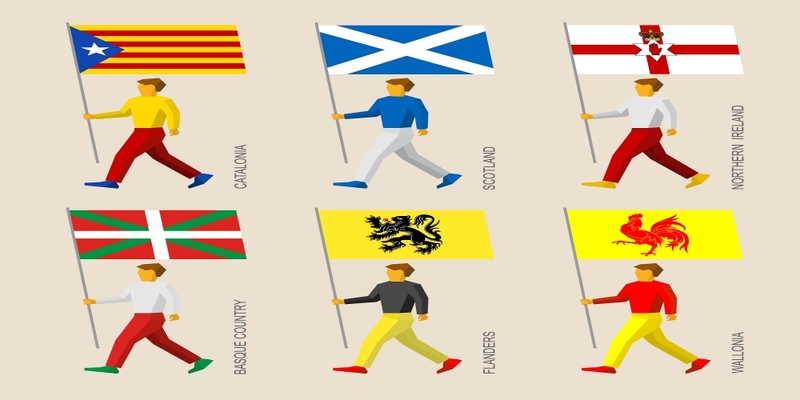 Recent political events in Catalonia show the salience of independence claims, a political phenomenon already experienced by other countries such as Scotland or Quebec. Liberal democracies evolve and debates on self-government and self-determination cannot be discussed as they were decades ago. Constitutional right to secede is extremely rare, however we can find good reasons both in constitutional and normative analysis supporting democratic self-determination. Minority nations, as permanent minorities, claim for liberal guarantees to protect them from majorities, but also democratic rights to express their views on their constitutional future. Pacts are the basis of any political agreement and any federal arrangement requires individual and collective compromises to be respected. Ethnic diversity is a quintessentially urban attribute. Because of this, city governments are called to make decisions about the daily management of diversity, often in ways that contradict or even openly challenge state-level agendas. Thus, cities are not to be treated as simply a lower level of government: they are central actors in the multi-level governance of diversity and in the negotiation of inter-ethnic relations. This contribution reviews examples of city-level diversity policies and discusses some of the contradictions of urban multiculturalism. In doing so, it makes an argument for the need to pay more attention to cities in the study of ethnically diverse societies. Multinational (quasi)federations are polities that hold together at least two constituent national partners. Unlike sovereign or majoritarian nations, minority nations that evolve in such federations usually cannot fully empower their societal cultures exclusively with their own autonomous will and institutions. We argue that such inability can lead to a more or less prominent multinational federalism deficit. Indeed, the less a multinational (quasi)federation enables its minority nation(s) to develop and consolidate their respective societal culture, the more likely it is to display such deficit, and vice-versa. But how can we measure such a deficit? We identify six legally oriented pillars that are central for a minority nation to sustain its societal culture. Those pillars, which we operationalise through twelve indicators, form the building blocks of the Societal Culture Index. The Index allows measuring and comparing minority nations by combining normative studies and empirical research. Two competing perspectives on the role of federalism in divided societies prevail: accommodation and integration. An accommodationist reading of federalism suggests drawing subunit boundaries to provide minority groups with self-rule whereas integrationist forms of federalism argue that units should be designed to cut across group lines. While these two perspectives offer important insights on securing democracy in divided societies, they both overlook the effect of federal design on “others,” that is, groups that face exclusion in the design of political institutions and in post-conflict governance processes. This contribution considers the scholarship on federalism and “others” in divided societies, focusing on gender and sexuality.